L-r: Greg Fiedler (former missionary to Sierra Leone), Elaine Metzger RN, Dr. Dan Benson (third-year family medicine resident), Dr. Jereme Long (ER physician who is excellent at teaching ultrasound), Dr. Kevin Dougherty (fourth-year ER resident), Dr. Mike Schuhknecht (surgeon), Dr. Ron Baker, Dr. Doug Tacket (family medicine residency director). 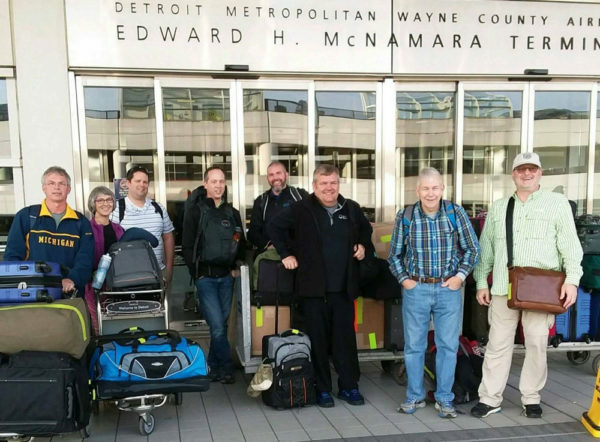 Dr. Ron Baker is leading a team of medical volunteers to the Mattru Hospital in Sierra Leone for two weeks. Be in prayer for them as they minister health and well-being, but also care for the spiritual needs of their patients. This is the first medical team traveling to Mattru that will have the benefit of 24 hour-per-day electricity. Margaret Stadden (seated, left) with Rod and Melody Bittick. Margaret Stadden has been a United Brethren member for 75 years, and at the same church: Pixley UB in Pixley, Calif. That must be some kind of record. 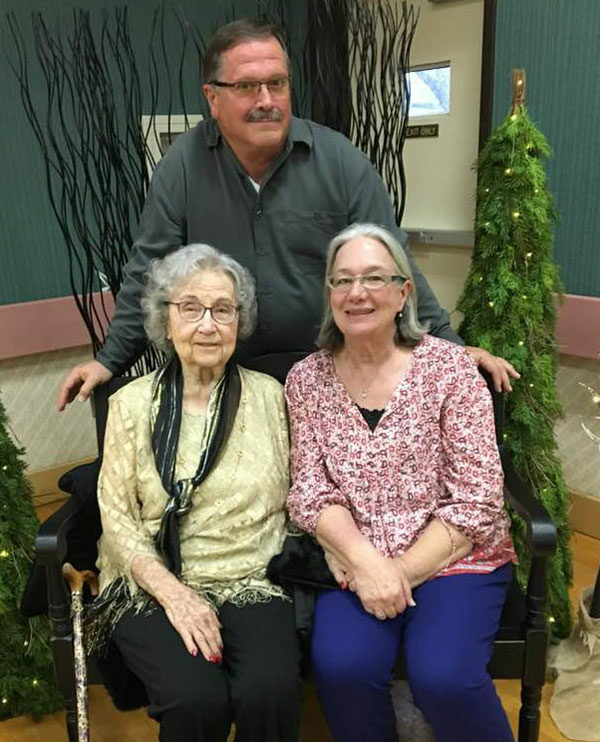 On January 12, Margaret turned 100 years old, and the church honored her life, longevity, and service to the congregation. Margaret became a member of Pixley UB in 1943 shortly after becoming a farmer’s wife and moving from Corcoran, Calif. Her three children, Karen, Richard and Julie, grew up in the church. Margaret was mostly involved in Christian education–Sunday school, Vacation Bible School, and youth ministry–and held various offices in the local Women’s Missionary Association. Margaret is a renowned cook; her baked goods have won prizes at the Tulare County Fair. She remains mentally sharp and active, continues living in her own home, and until recently, drove herself to church on Sunday mornings. More recently, she is only able to attend when one of her children brings her. Seth and Becca Mallay and children. Seth and Becca Mallay are UB Global endorsed missionaries serving in Togo with World Medical Mission, the medical arm of Samaritan’s Purse. Seth is a family physician. They received news this week that their oldest daughter, Arwen, has stage four neuroblastoma which has metastasized to her bones.They have been told to expect about two years of rigorous treatment. Clearly, this changes their plans regarding medical missions, but they are not deterred from their mission. They reject discouragement, but accept that their timeline is being altered out of necessity. Seth felt the call to become a fulltime medical missionary as a child, and remained committed to this call throughout medical school and residency. 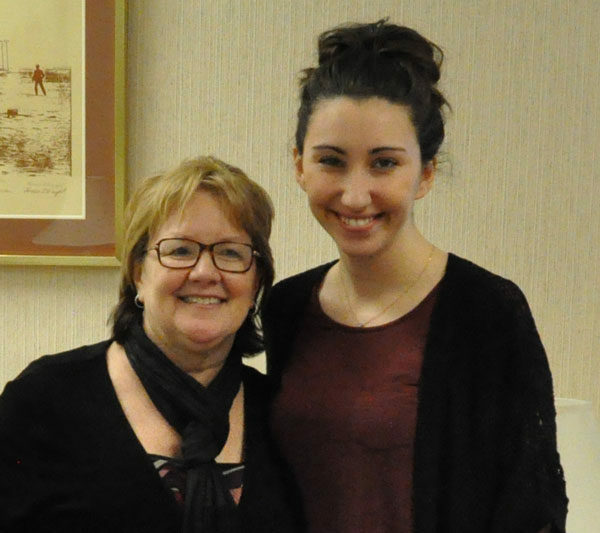 Becca was raised on the mission field in Brazil, and from a young age felt called to fulltime mission work in Africa. 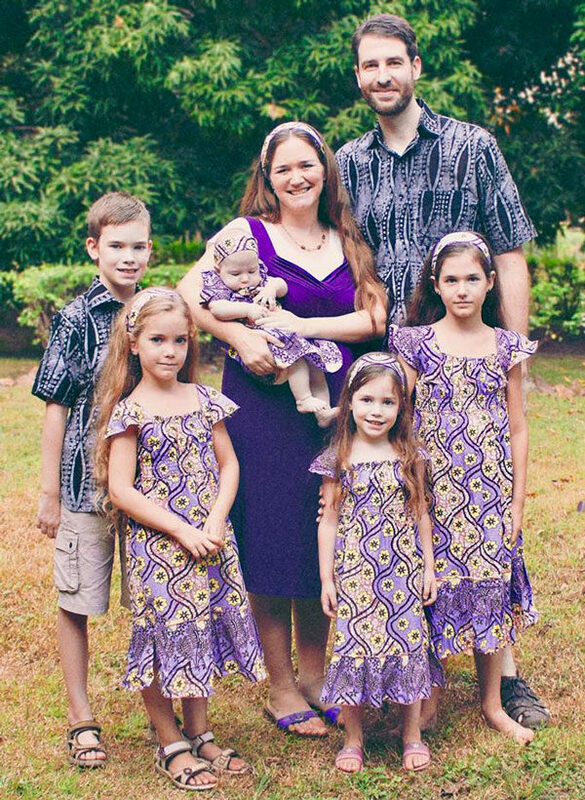 The Mallays are members of Hillsdale UB church in Hillsdale, Mich. If you are interested in helping them financially, a good friend has set up a GoFundMe account for them. Mike Dittman speaking at the Cluster Leader Winter Gathering. Dr. Sherilyn Emberton (center) with Revs. William and Mary Flamer. Brooks Fetters (left) and Bishop Todd Fetters. 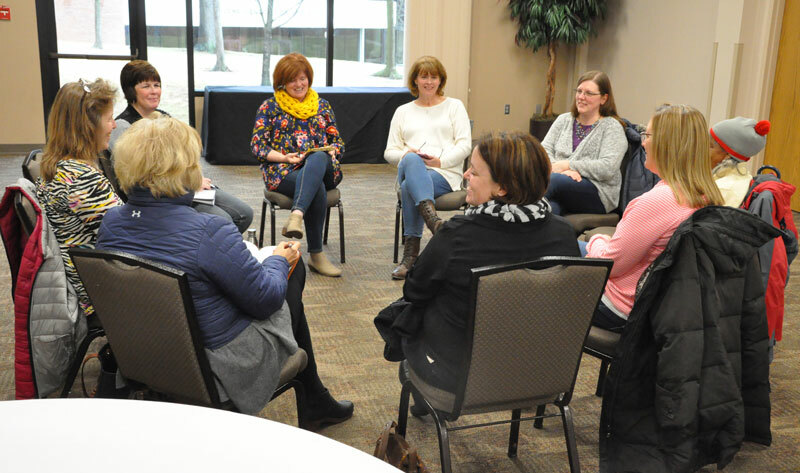 Twenty-one (out of 24) cluster leaders attended the annual Cluster Leader Winter Gathering, held January 22-23 at Huntington University (Huntington, Ind.). Cluster leaders are UB ministers who oversee a group of about seven senior pastors. Most clusters consist of pastors located close to each other geographically. 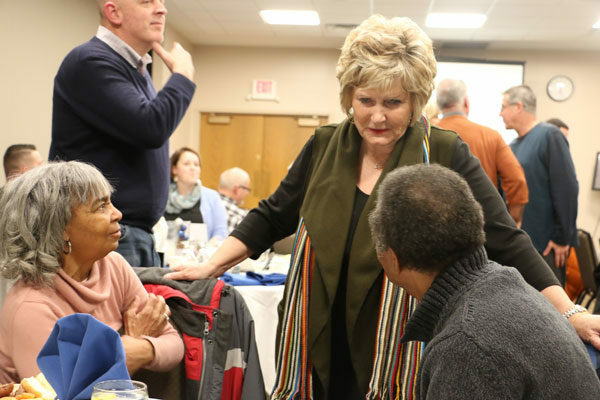 The Winter Gathering began on Monday night, January 22, with a dinner for cluster leaders, spouses, and staff at the United Brethren National Office. Dr. Sherilyn Emberton, president of Huntington University, gave some remarks. 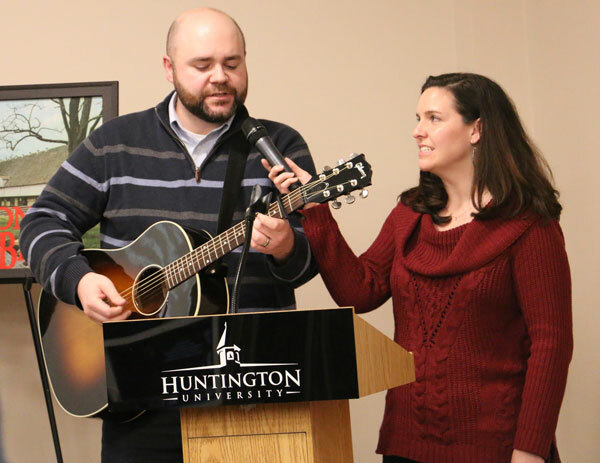 Matt and Emily Hann, from College Park UB church, provided music. Then Brooks Fetters, an ordained UB minister who is mayor of the city of Huntington, gave a message on leadership issues. Bishop Todd Fetters started the Tuesday meeting with a devotional. 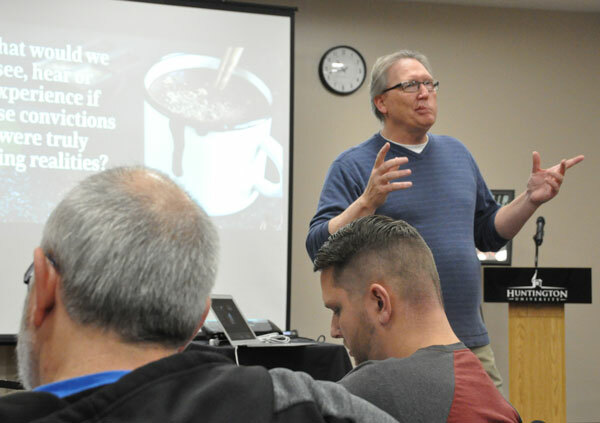 Then Mike Dittman, director of National Ministries, led a couple hours of training. Meanwhile, Lisa Fetters and Pam Dittman led a track for spouses of cluster leaders. For cluster leaders, the morning concluded with a discussion about a proposal to remove the requirement that UB ministers totally abstain from drinking alcohol (the prohibition for laypersons was removed in 2005). The issue will be discussed in cluster groups this year, and will probably be dealt with at the 2019 US National Conference. The Cluster Leader Winter Gathering concluded with lunch on Tuesday. Only senior pastors must attend cluster meetings. Clusters must meet at least six times per year. The typical schedule is September, October and November, take a break for the holidays, and resume February, March, and April. You can view all of the cluster groups here. For staffpersons, we offer an Associate Staff Summit and a Youth Workers Summit (which is actually held every year). This is the year for all of these summits. Rev. Armando Lopez was elected as the new superintendent of Nicaragua Conference. He replaces Rev. Juan Pavón, who has served in that role for over 12 years. Born in 1949 in the city of Granada. His parents pastored a small church. Armando can’t recall when he made the decision to follow Jesus, but he distinctly remembers preaching the Gospel as a child in bus stations and marketplaces. 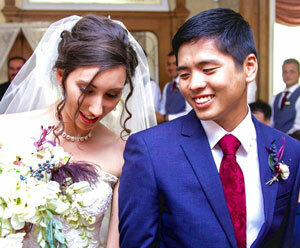 When Armando graduated from high school at age 17, he was determined to become a minister. In fact, all of his siblings are serving as pastors today. In 2004, Armando was introduced to the United Brethren and has served as pastor of the Camino de Fe church in Niquinohomo, where he has also served as the area cluster leader. 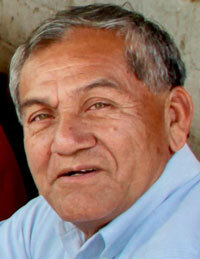 Armando is passionate about evangelism, discipleship, and church planting. It is his desire to lead our 30 Nicaraguan churches in multiplying themselves. Randy Carpenter (right) was hired as a staff pastor at Colwood UB church (Caro, Mich.) effective January 1, 2018. He was previously senior pastor of Sunfield UB church (Sunfield, Mich.). Colwood is using a team approach, with three persons–Mike Whipple, Kelly Ball, and Carpenter–listed as teaching pastors. Each also carries other areas of responsibility. For Carpenter, the website lists assimilation and discipleship. The Garnett UB church (Garnett, Kansas) closed as of December 31, 2017. The building is being sold to another church in town that needs a building. For 2016, the church reported an average attendance of just 6 persons, with 16 members. Registration is now open for the UB Youth Workers Summit. 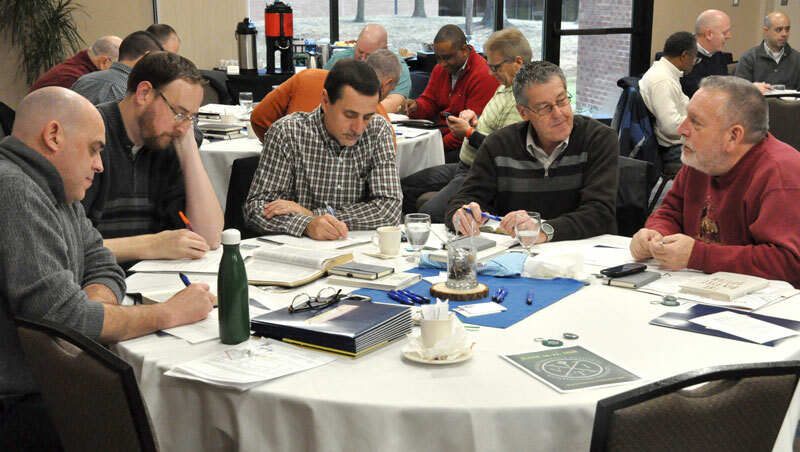 This is an annual event of encouragement and training for persons in youth ministry. It is available for the lead youth ministry workers (fulltime, part-time, or volunteer) in every United Brethren church. About 25 youth persons usually attend. The Summit is a great time of networking with other youth leaders and being encouraged by others who are in the trenches of youth ministry. They enjoy the beach, the golf course, and incredibly beautiful weather, along with the chance to slow down and step away from the constant demands of youth ministry. 3 hosted dinners and seminars with guest speakers.